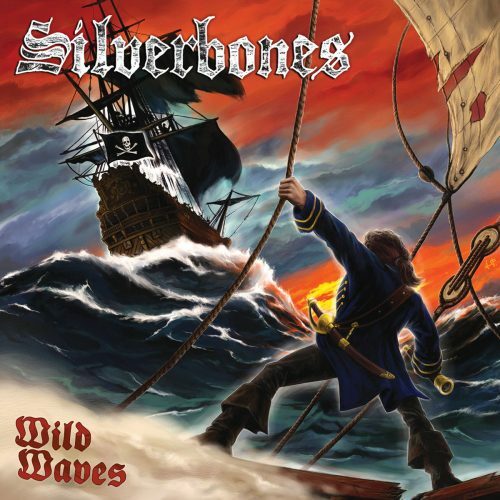 Currently viewing the tag: "Silverbones"
"Somewhere on a wind swept beach in a far-flung corner of the Pacific Ocean was a buried treasure chest. That chest was filled with all the riffs Running Wild had yet to use but wanted to keep from their scurvy competition. And there it sat for decades in it's sandy repose, unknown to all but Rock n' Rolf. That was until upstart Italian buccaneers Silverbones jacked the riff-booty, leaving empty bottles of Limoncello as their calling cards." YAARR's revenge?